Washington D.C.’s 9:30 Club is a music venue worth celebrating. Last year, for its 35th anniversary, a book was released chronicling the many legendary moments that have occurred inside the venue’s hallowed walls. On May 28, that regional love will go national as PBS begins broadcasting Live At 9:30, a show comprising various live videos shot at 9:30. Today, The A.V. 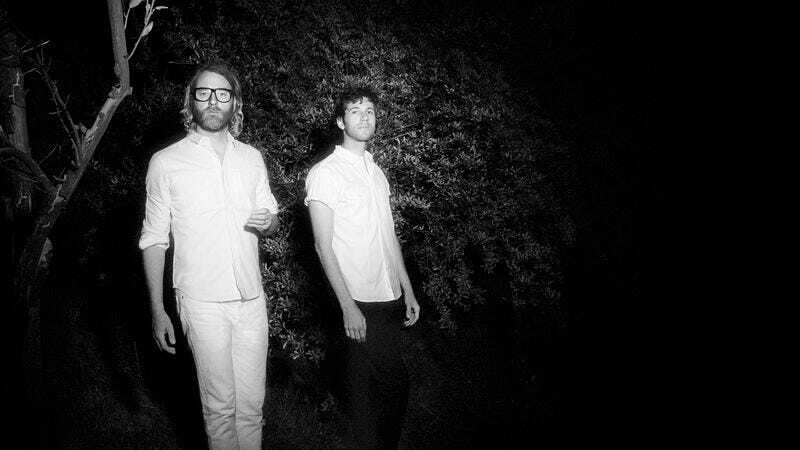 Club has an exclusive preview of a clip from the show’s debut episode, which sees El Vy—the new project of The National’s Matt Berninger and Menomena’s Brent Knopf—playing “Need A Friend” from their recent debut album, Return To The Moon. It’s a great way for people who missed the band’s recent tour dates to feel like they were there. Well, if they could float above the crowd and not distract from the proceedings.